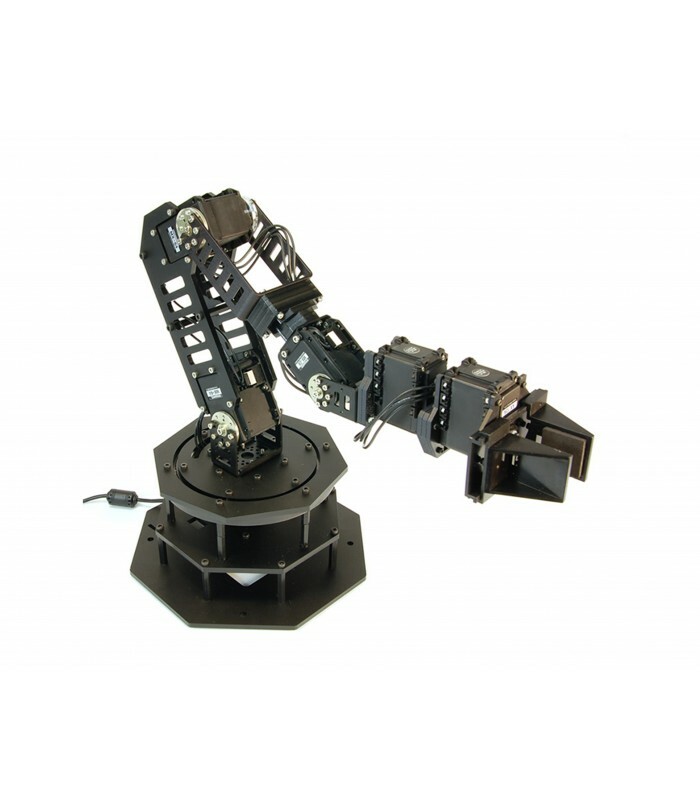 The WidowX Robot Arm is made of the MX series of DYNAMIXEL Servos. 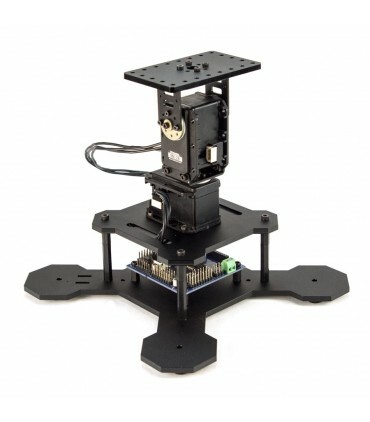 The MX series actuators provide a full 360 degree freedom of movement in the base, ultra-high resolution of 4096 positions, user-definable PID parameters, and extremely smooth interpolation. 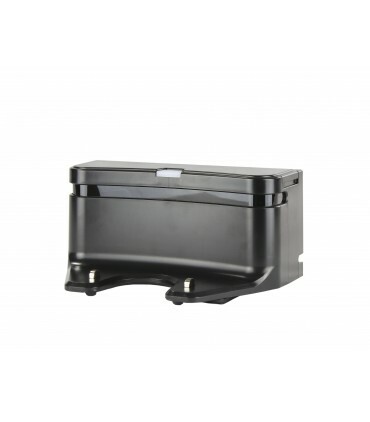 If you are looking for medium lifting strength and desire smooth control, high accuracy and repeatability the WidowX is a great mid-level arm choice.